When the Freeman family decided to restore a damaged creek in Washington's Olympic Peninsula—to transform it from a drainage ditch into a stream that could again nurture salmon— they knew the task would be formidable and the rewards plentiful. 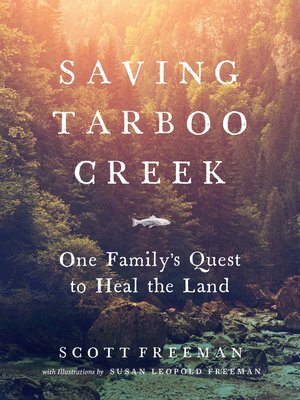 In Saving Tarboo Creek, Scott Freeman artfully blends his family's story with powerful universal lessons about how we can all live more constructive, fulfilling, and natural lives by engaging with the land rather than exploiting it. Equal parts heartfelt and empowering, this book explores how we can all make a difference one choice at a time. In the proud tradition of Aldo Leopold's A Sand County Almanac, Saving Tarboo Creek is both a timely tribute to our land and a bold challenge to protect it. Adding to the legacy, Leopold's granddaughter Susan, the matriarch of the Freeman family, created this book's illustrations.